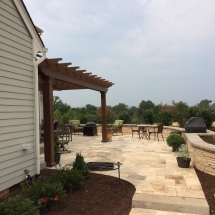 With each new design & hardscape project, LHN designers and foremen aim to create special places for our clients to sit back, relax, and take a deep breath of fresh air, and the enduring hum of nature in true surround-sound. When you think of peace with your landscape, think of Lee Highway Nursery. 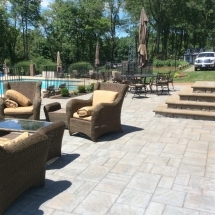 Whether you enjoy the extravagant event for twenty or a romantic retreat for two, our custom patios, decks, entertainment spaces, and hardscape designs are created specifically for your individual needs. 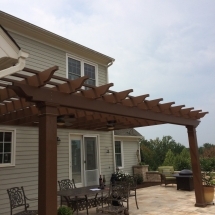 We incorporate the architectural elements of your home as well as the property’s natural flow, beauty and views. 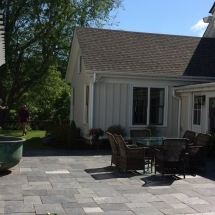 Our hardscape design considers proper drainage, functionality, privacy, as well as future items that may require underground elements. 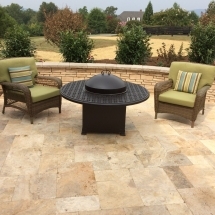 Outdoor spaces not only expand your living and entertainment space but increase your home’s value. 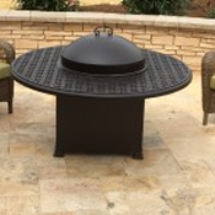 With added amenities such as outdoor kitchens and grill spaces, fireplaces and fire pits, dynamic lighting, arbors, pergolas and roof structures, walls and water features, there is absolutely no limit to how incredible, breathtaking and relaxing your custom created space can be. 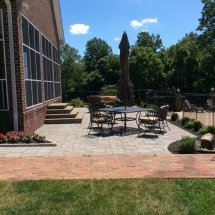 Lee Highway Nursery makes the next step of updating your outdoor living easy with our landscape installation. 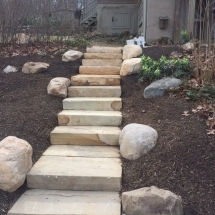 Not only can we sit down with you and find a solutions for your landscape that makes you feel good about how your house looks, but we go one step further. 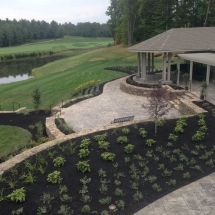 We want to help you install your new personally designed landscape & bring the project to completion in a way that you will be proud of. LHN wants to ease the process of bettering your home, we’ve made it available to anyone; regardless of your work load or personal life. 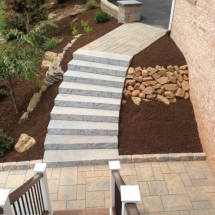 Let us take a load off and install your new landscape today. that perfectly suits your style.